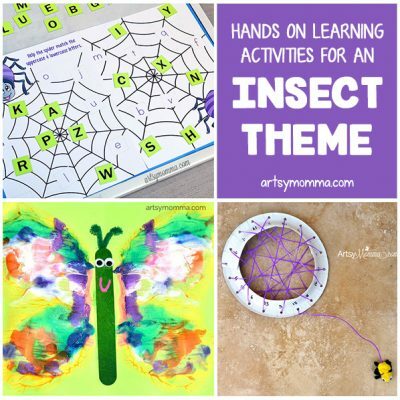 It’s time to get crafty with frogs and have fun learning with them! 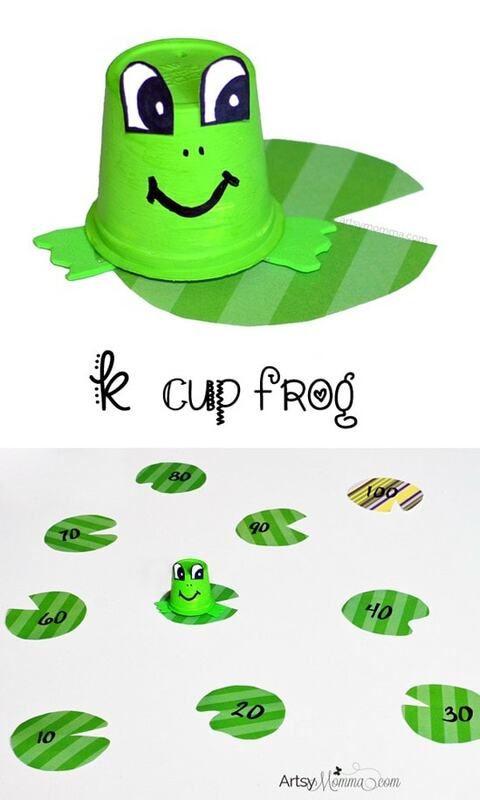 See how to make a recycled k cup frog craft to use with a homemade lilypad frog hop game to practice skip counting. Find even more frog ideas at the end of this post. 1. Paint the k cup with green paint. Let dry. Paint a second coat on and let dry again. 2. Draw eyes on white cardstock using a black marker. Cut them out and stick in place with the Glue Dots. 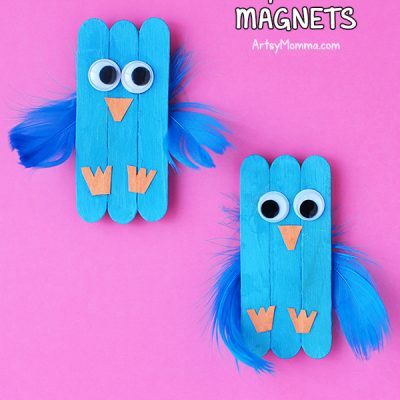 You could also use white glue or a hot glue gun. 3. Draw on nostrils and a mouth. Add a tongue with a piece of a pipe cleaner if you’d like. 4. 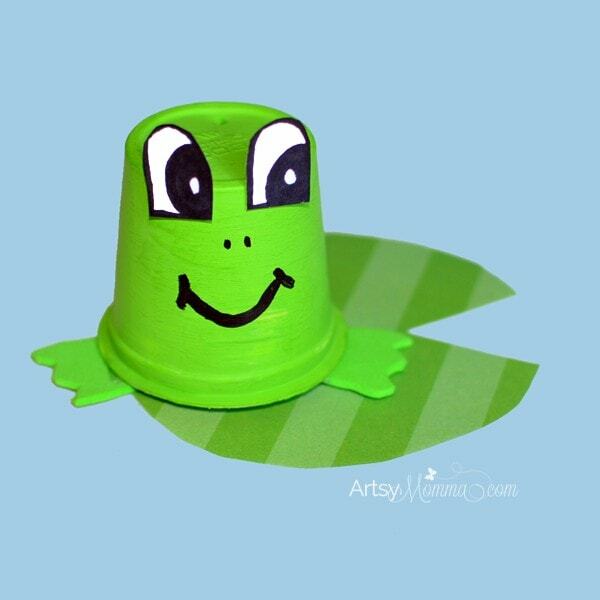 Cut frog feet from a green craft foam sheet or construction paper. Stick to the bottom of the cup with the Glue Dots. 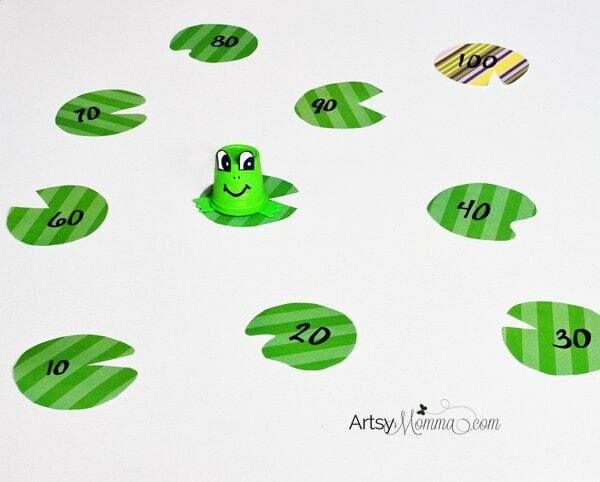 The frog lilypads feature numbers for preschoolers and kindergartners to count by tens to 100. You could also do counting by five, two or even regular counting. All you have to do is cut a simple lilypad shape from the construction paper (we used scrapbook paper) and then write the numbers on. To play, have the child place the lily pads in order for their frog to hop on. Older siblings and parents can also lay them down spread apart either in order or jumbled a bit for the child to figure out how to hop their way to 100. Little Sister loved placing them in numerical order and playing it as a game with Big Brother. 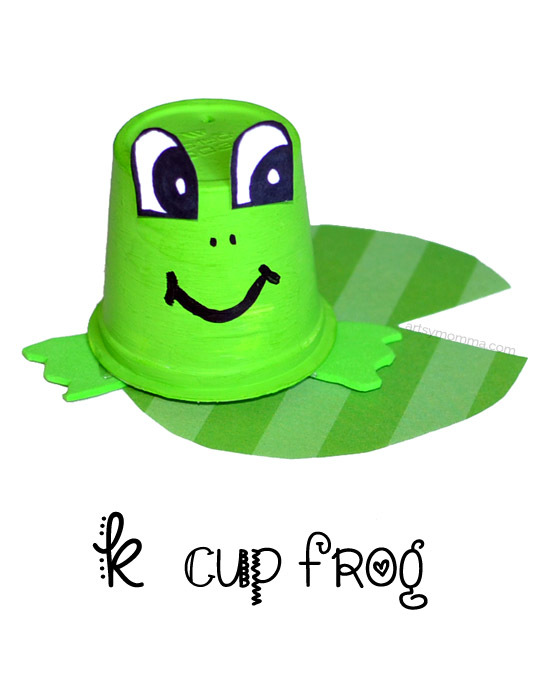 If you like this recycled k cup frog craft, check out this string wrapped k cup bird craft or these too cute k cup bunnies!